Pop. 606. In the Reg. Mun. of York on C. Rd. 12,49 km N of Toronto. The place was first known as The Four Corners. Pop. 2,530. In Reg. Mun. of East Gwillimbury on C. Rds. 12 & 13,50 km N of Toronto. Pop. 8,284. In East Gwillimbury T., Reg. Mun. of York, on the E branch of the Holland R. just E of C. Rd. 1, 54 km N of Toronto. Pop. 55,079. In Reg. Mun. of York on the Holland R. and Hwy 9, just Eof C. Rd. 1,48 km. N of Toronto. Pop. 17,068. In Georgina T., Reg. Mun. of York on the E side of Cook's Bay off L. Simcoe and C. Rd. 78, 64 km. N of Toronto. Pop. 25. 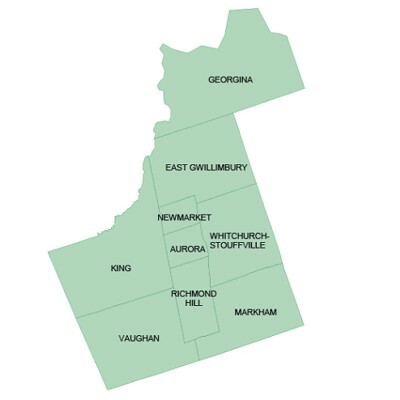 In North Gwillimbury T., YorkC. on C. Rd. 32 just E of C. Rd. 3, 18 km NE of Newmarket. Pop. 358. In West Gwillimbury T., Simcoe C., 2 km. W of the W shore of Cook's Bay off L. Simcoe, on C. Rd. 89,22 km. SE of Barrie. Pop. 189. In the Town of Georgina, York Reg., on the E shore of Cook's Bay of Lake Simcoe and C. Rd. 78, 8 km. NW of Keswick, 24 km. N of Newmarket. Pop. 250. In Georgina T., Reg. Mun. of York, on C. Rd. 32,1 km E ofHwy 48,48 km N of Toronto. Pop. 216. In East Gwillimbury T., York C., on C. Rd. 13,2 km W of Hwy 48 and Mount Albert, 38 km N of Toronto. The place was named Eastville in 1860, but its history and the origin of its name have not been recorded. Pop. 2,158. In the Reg. Mun. of York, on C. Rd. 13,2 km. E of Hwy 48, 39 km. N of Toronto. Pop. 400. 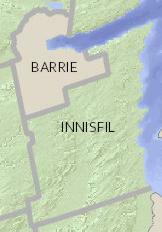 In Innisfil T.,Simcoe C.,on Cook Bay of L.Simcoe, 19 km. SE of Barrie. The place was named after James Bell Ewart, who owned the site before it was surveyed in 1855. Pop. 500. In Innisfil T., Simcoe C., 5 km. E of C. Rd. 4, 21 km. SE of Barrie. The first settler was Henry Grose, who came to the area in 1832 from Cornwall, England. Pop. 400. In the Reg. Mun. of York on Hwy 48,6 km. S of Sutton, south of L. Simcoe. Pop. 510. In Innisfil T., Simcoe C., on C. Rd. 4, 5 km. W of Cook's Bay offL. Simcoe and 56 km. N of Toronto. Pop. 237. In Georgina T. in the Reg. Mun. of York on L. Simcoe, 11 km N of Sutton. Pop. 358. In the Reg. Mun. of York on the S shore ofL. Simcoe and C. Rd. 78, 7 km. NW of Sutton. The history of the community has not been officially recorded. The place may have been named after Arctic explorer Sir John Franklin. Pop. 644. 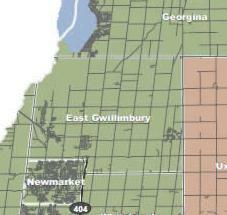 In North Gwillimbury T., York C., on the S shore ofL. Simcoe opposite Snake I. and at C. Rds. 8 & 76, 10 km. W of Sutton. Pop. 622. In Georgina T., York C., on the south shore of L. Simcoe on C. Rd. 78, 70 km N of Toronto. Pop. 1,738. In the Reg. Mun. of York on Hwy 48, 2 km. S of the S shore of L. Simcoe, 8 km. E of Sutton, 72 km. NE of Toronto. The post office was established as Virginia in 1874. Pop. 360. In Reg. Mun. of Durham on C. Rds. 13 & 39, 49 km NW of Whitby. The post office was established as Zephyr in 1865, named after the Greek 'zephyros,' the west wind whose breezes helped produce fruit and flowers. Pop. 659. In Innisfil T., Simcoe C., on the W shore of L. Simcoe, 16 km SE of Barrie. In Innisfil T., Simcoe C., at the mouth of Kempenfelt Bay offL. Simcoe, 15 km E of Barrie. In Innisfil T., Simcoe C., on the W shore of Cook's Bay off L. Simcoe, 16 km SE of Barrie. Pop. 24,853. Town in the Reg. Mun. of Innisfil in the T. ofinnisfil, Simcoe C. on C. Rd. 4,16 km. SE of Barrie, created in 1991 by uniting the village of Cookstown, the T. ofinnisfil and parts of West Gwillimbury and Tecumseth Ts. Pop. 201. In Scott T., Reg. Mun. of Durham, on C. Rd. 11,43 km NW of Whitby. The place was first known as Smith's Hollow for George Smith who settled in 1843.